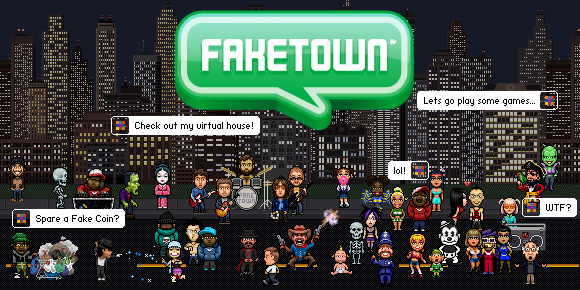 First launched in 1999, Faketown was a browser based virtual world with social networking and integrated content creation tools. The Resonant Games team were founding members of Identity Play, the company that developed the Faketown product. Despite receiving Series A term sheets from Softbank and Rustic Canyon the company ultimately folded due to misaligned expectations of an early investor. None the less, Faketown was a revolutionary product that was well ahead of its time. Prior to Club Penguin, Facebook and FarmVille, Faketown was pioneering new forms of social play.